Serving Central and North Eastern Minnesota, JACOBSON PRECAST CONCRETE, LLC offers prompt delivery of tanks with an excellent on-time record, usually within 15 minutes of schedule (if scheduled 24 hours prior to delivery). 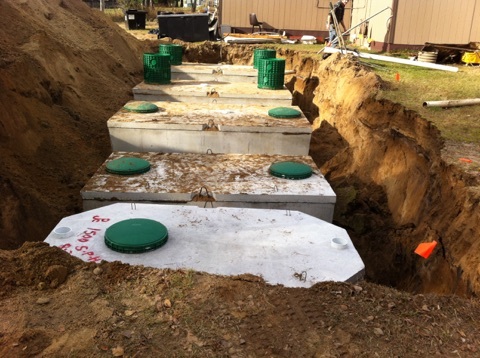 We will deliver and set your septic or sewer tank in a prepared site with our fleet of trucks. Tanks can weigh up to 8 tons each and our heavy equipment is ready and prepared to get the job done right. More information on our delivery service is coming soon. Please check back again for updates. We work hard to manufacture high quality tanks that are second to none while striving to provide unparalleled service. We’ll make sure you stay on schedule by delivering your tank on time. To discuss your precast concrete and delivery needs, just give our Aitkin, MN office a call today. We look forward to making your job easier! Copyright © JACOBSON PRECAST CONCRETE, LLC, 2016. All rights reserved.